I had very much contact with my friend Ivar Arstad in Trondheim from 1981 to his so early death in 1997. Ivar was may be one of the best aquarist I have know so far in my life. 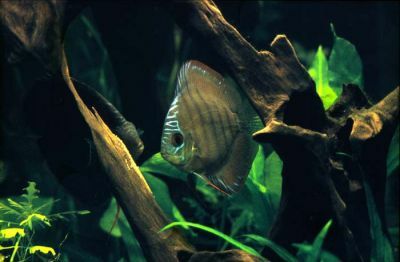 He had very high level in knowing breeding Discus and Tetra. Very often we were sitting in front of his 720 liter aquarium where Discus was breeding or raised youngster and discussing terms of breeding after knowledge to Alf Julius Næss, owner of Tropica the hatchery for aquarium fishes. 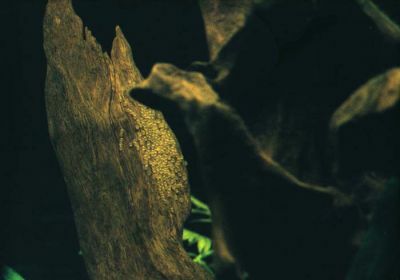 Næss was the first to breeding Discus in Norway and Ivar was the second after Næss to breeding Discus in Trondheim. 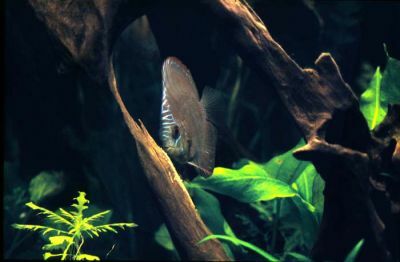 Ivar was working in the hatchery of Tropica for some time and learning very much of their breeding technique. He show me some of their breeding equipment design by Sørgaard and Næss. I remember all this and have made my own layout of this equipment I using today. This is a wire frame to separate the parent fish for their egg. Depended of what kind of spice it is we have to cover the aquarium from the light to the fry is developed and transferred them to a type of cell aquarium, else transferred the egg direct to the cell aquarium. 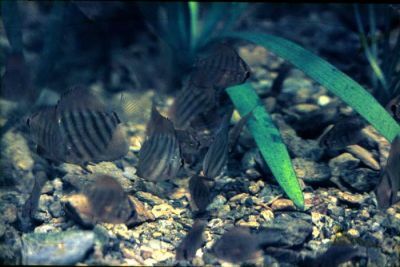 When the fry grow bigger it is possible to transfer the fry to a bigger size cell aquarium. I have to sizes of this cell aquarium but it is possible to make tree sizes. With this system it is possible to get cleaner environment for the fry. Ivar was using this equipment to breed Cardinal Tetra and Neon Tetra in 1983 and 1984. 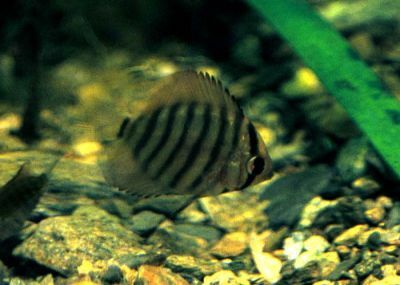 He was doing exact the same as Tropica and have success to breed also Discus many times from 1982 to about 1995. All this pictures is shooting in his 720 liter in his living room. It was very special to see this aquarium. It was full decorated with plants, roots, sand and much Cardinal and Neon Tetra. But it was else only this discus couple. Ivar have also a tank on 375 liter to prepare the water before chancing in to the 720 liter. Today, there have been 35157 visitors (90837 hits) on this page!